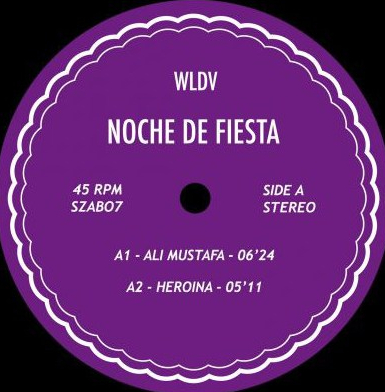 Basque edit wizard WLDV delivers four blazing Iberian disco cuts. It’s the first two cuts that really shine with the haunting Arabian electro dance number ‘Ali Mustafa’ that huddles you through bazaars and alleyways in its quest to reach the Moorish discoteca in the sky. Expansive percussion work topped off with a beautiful vocal sample and spaceship disco FX. A2, ‘Heroina’, is another serious disco edit workout, with its particularly Iberian flavour revealing itself fully – to euphoric effect – in the breakdown . On the flip side, ‘Loca’ is a funky brass-led number to warm things down before sensual vocal samples take the lead over a bed of strings, flutes and wonky disco bass on A2, ‘Touch Me’. You can pick up Noche de Fiesta at Bordello a Parigi. Vinyl only.